Kailua Beach is on the windward side of Oahu. The beach is absolutely beautiful and pristine, away from the big crowds and high rise hotels. Not a one in sight! Just, sand, sea, clean air and a beautiful sun coming up over the water. 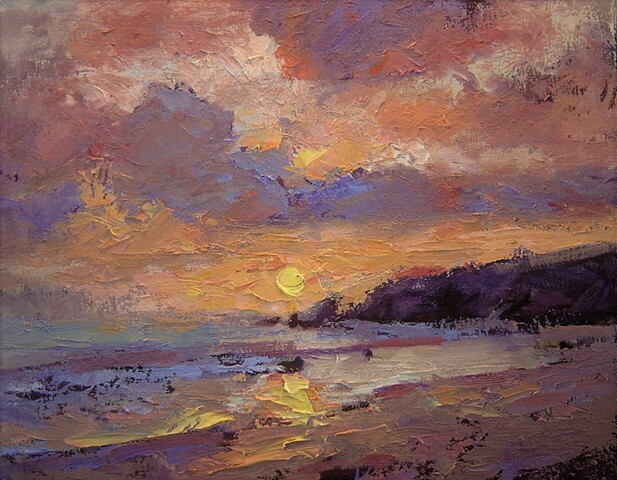 I have painted this beach a couple of times. This version shows a brighter sun and a little more tonal range than the other painting.